Monica Dimas will open Cafe Westman's in Pioneer Square and a commissary-slash-wholesale operation, Westman's Bakeshop, in Seward Park. Both are set to arrive sometime this spring. 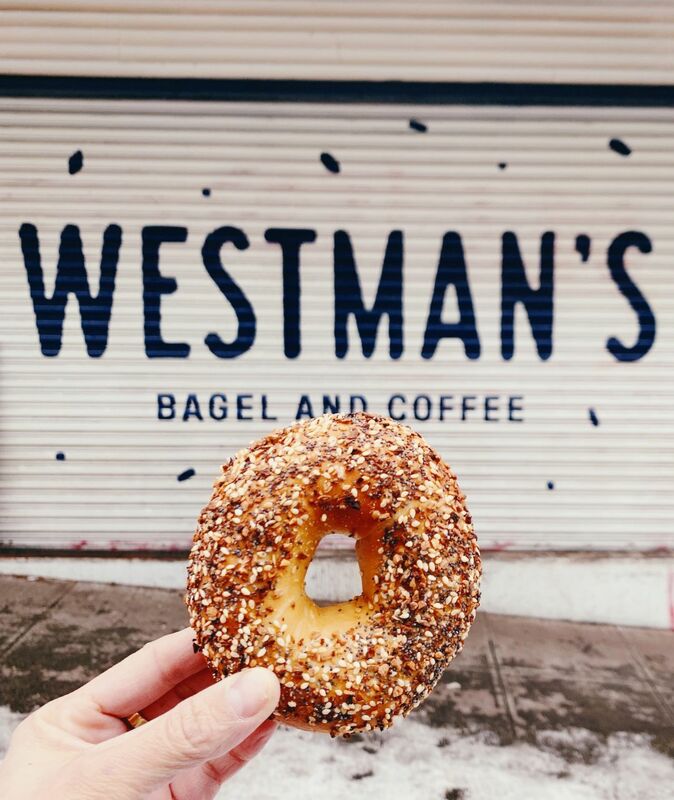 When Westman's Bagel and Coffee, that little walk-up window on Madison with a queue perennially up the block, arrived over a year ago Seattle lost its bagel-loving mind. 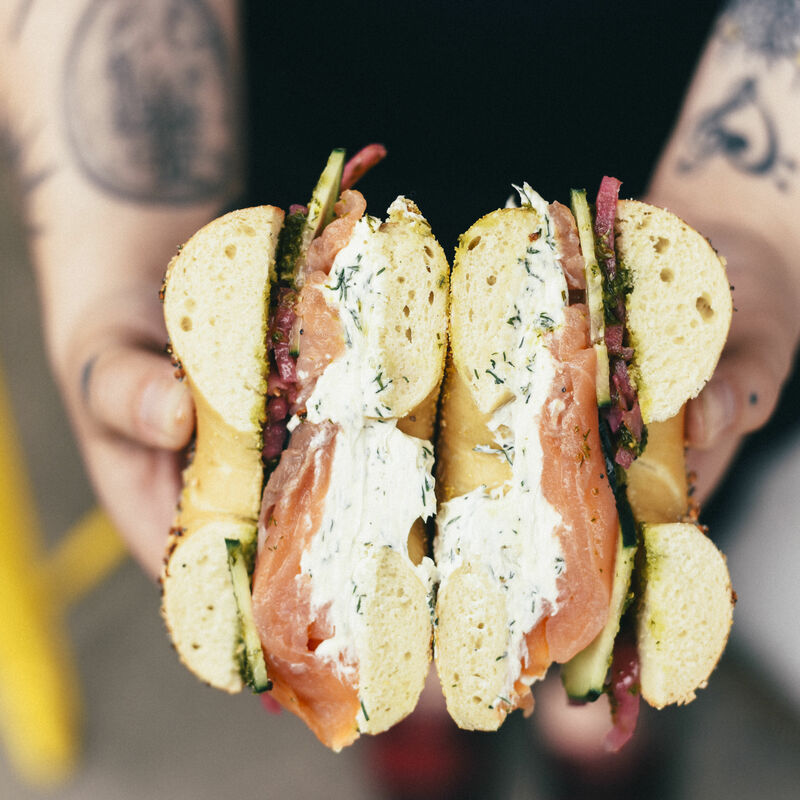 The New York–style bagels. The loaves of chocolate babka. The tubs of take-home schmears! If you boil and bake it, they will come—and as owner Monica Dimas learned, they came hungry and in droves. The microscopic baking space in the walk-up's kitchen couldn't keep up with demand, which meant selling out of bagels before Westman's closed for the day. If there's one thing people complain about the most—on Yelp, on Facebook, to Dimas personally and unabashedly—it was the tiny neighborhood window's inability to produce enough bagels to satiate all of Seattle and beyond. "I don't think people really understand how tiny that space is," says Dimas. "We grew out of it pretty quickly." That's all about to change. In addition to the walk-up on Capitol Hill, Dimas will open Cafe Westman's in Pioneer Square (late spring, she estimates) and Westman's Bakeshop in Seward Park (coming soon!). Westman's Bakeshop isn't a retail shop but a commissary bakery that can, finally, satisfy Seattle's appetite for bagels. It will up production to keep the walk-up well-stocked, plus fulfill wholesale and large catering orders. Should you have a personal need for a large haul of bagels, you can put in an order and pick it up in Seward Park next to the Caffe Vita on Wilson Avenue South. As for Cafe Westman's, Dimas says it'll be what everyone's wanted from the Madison spot: more bagels, a bigger menu, and indoor seating. The expanded menu will still adhere to Dimas's "food essence," that is, excellent food without the pretension. "Our goal is for everybody to feel comfortable—that they're a regular." Favorites like the BEC (bacon, egg, cheese—we love it on the soft roll) and the standard lox sandwich will remain, but look forward to newcomers such as the Salt Bagel, which is corned beef on a bagel with hot mustard and pickles. One thing Dimas won't touch: the pastrami sandwich. Nope. "I do not want to be a part of the pastrami conversation," she says. There will also be brunch on weekends (think corned beef hash, eggs, toasted bagels, of course). Stay tuned here or the Westman's Instagram for updates.